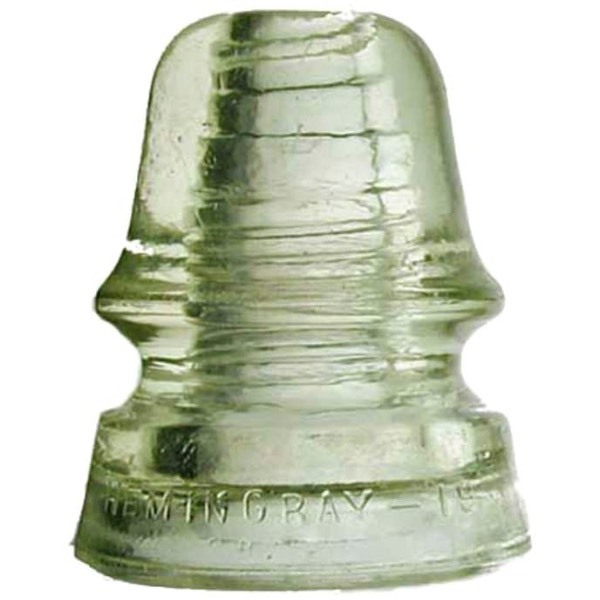 Notes: Experimental Spark Gap Insulator, based off a standard Hemingray 19 but with a modified top. Patented Jan 8, 1946, Patent No. 2,392,342. One of three prototype styles. In addition to the CD 186, there are the CD 186.1 and CD 186.2. All styles are rare, but the CD 186.2 seems to be the more available of the three.